Stainless Steel, shiny finish. Non-rusting, virtually last forever, almost impossible to bend. 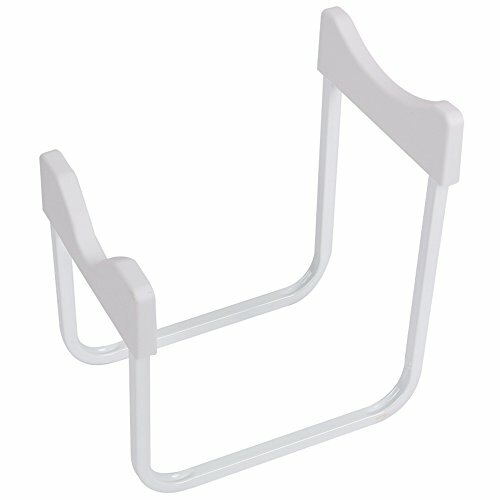 Supports 50+ pounds. Very sturdy. Durable & Top Grade. BPA FREE valve, LEAK & DRIP-FREE. No more wrist pain from pumping water! Water stand and valve is perfect for consistently having accessible water. Ideal for taking up minimal space on countertops and effectively replaces small electric water coolers Water dispenser stand is made of plated steel and features removable plastic grips for stability and scratch protection. 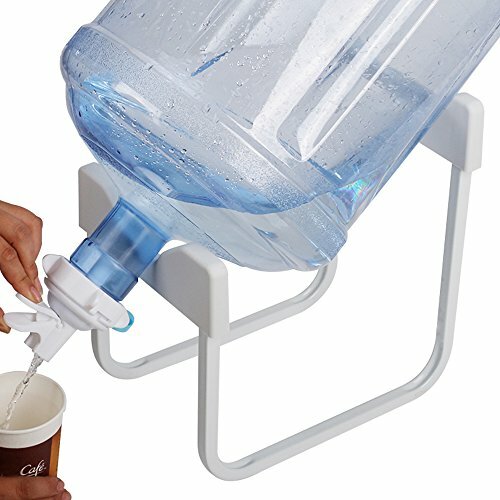 The strong and stable water jug stand supports 5 gallon water jugs securely The easy to install water cooler spigot has a super fast flow rate and is BPA Free and dishwasher safe. *The water dispenser valve only fits 53-55MM crown top non threaded water bottles (not for screw tops)! Will NOT FIT 48mm! 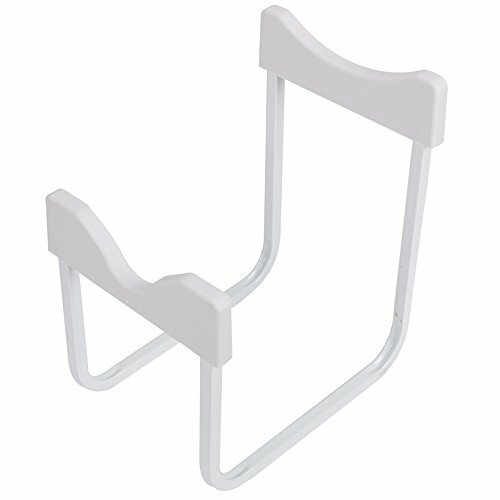 The chrome water stand and dispenser spigot is great for indoor and outdoor events such as parties, picnics or camping. Use the portable water cooler as an office water dispenser and for the home Note that Jug may fall if stand is on uneven surface!